Experience Horowhenua’s tastiest event - the Horowhenua Taste Trail - showcasing 10 Horowhenua specialist food producers. The ten producers on the Taste Trail create and produce a variety of excellent food and produce, and include Woodhaven Gardens, Lewis Farms, Genoese Pesto, Turk’s, Woody’s Free Range Farm, Levin Eel Trading, Thoroughbread Foods, The Ultimate Egg, The Baked Dane, and the Bagrie Dairy Farm. ​The Taste Trail is a unique experience where producers open their doors and provide you with an opportunity to experience the paddock to plate journey, see how your food is produced and then enjoy it directly at the source. It’s a foodies dream, with five cafes and restaurants partnering with producers to serve the freshest, finest local produce through five signature dishes: our Horowhenua Taster Plates. Along the way you’ll have a chance to purchase other tasty treats and stock up on fresh produce. Join us for the 3rd annual Horowhenua Taste Trail on Saturday 24 November 10am - 4pm. For the first time we have a variety of ticket options to suit all appetites. We will not be selling any tickets on the day, so you need to pre-purchase if you don’t want to miss out! For all the foodies out there, this option allows you to take your own vehicle and go at your own pace while enjoying the Taste Trail produce in its finest form. Includes entry into all eight sites and our five Horowhenua Taster Plates, or for under 12 years, a Taste Trail Lunchbox. Take your own vehicle and go at your own pace. Enjoy the Taste Trail your way, with this entry only ticket. Food an additional cost on the day. ​A bus tour from your chosen location. 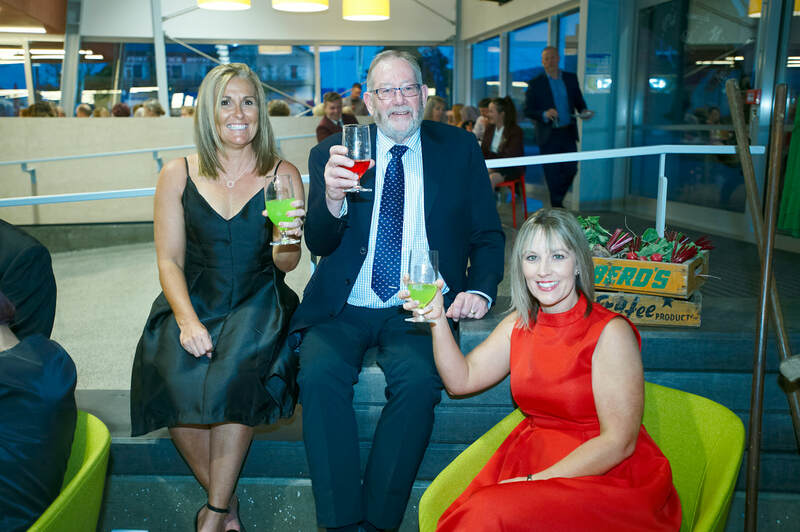 Sit back, relax, and enjoy the Horowhenua Taste Trail in style. Join the VIP day out with a tour guide, visits to selected sites, our five Horowhenua Taster Plates, and a must have Horowhenua Taste Trail Market Bag. Passionate foodies can extend your Taste Trail experience and sign up for a series of Savour Events to wrap around their day. Get in early as places at Savour Events are strictly limited. Unfortunately we have had to cancel the show. We apologise for any inconvenience. All ticket holders will be reimbursed for their tickets, or can choose to attend another Savour Event. In a small, intimate class setting, learn about the different ways Fonterra dairy products can be highlighted in a range of cooking styles, demonstrated by a talented chef who originally comes from Foxton. Jude Messenger is an award- winning chef that now heads up The Bistro in Taupo. After you’ve trekked around the Taste Trail producers, join us at Turk’s for the end of day wind down, as you listen to live music and enjoy a beer and one of Dutchy’s Burger Joint’s infamous burgers. 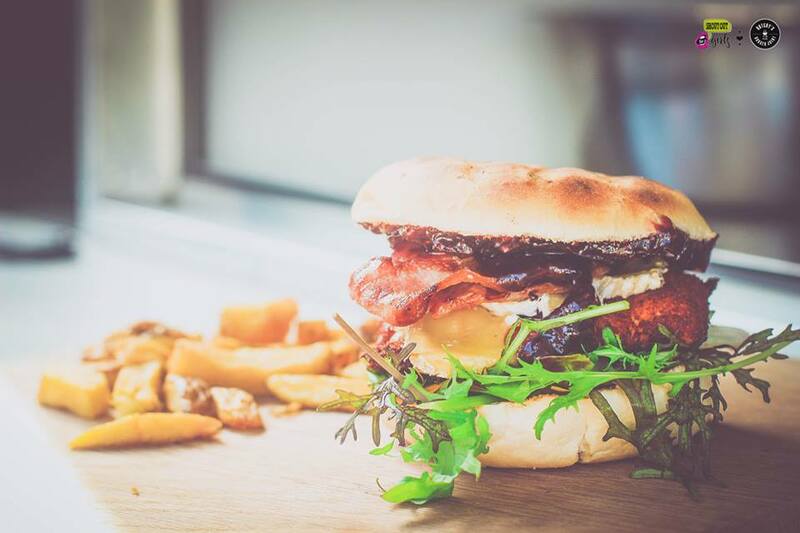 Dutchy’s has designed a Horowhenua inspired burger just for the occasion: Juicy fried Turk’s free range chicken, free range bacon, lightly spiced mayo, greens and kimchi, on a bun. Vegetarian burger with grilled asparagus also available.